Alignment of site under garage can be made by adding crushed stone. It will allow to save your funds for more expensive options of preparation of the place for future garage. 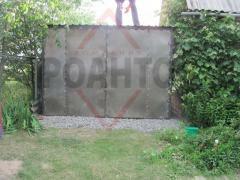 Unbelievable price on Buildings, constructions, structures dismounting in Kiev (Ukraine) company Roanto, PP. Wide choice of quality services at affordable prices.